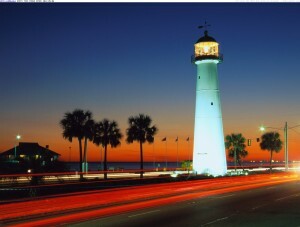 The Biloxi Lighthouse located on U.S. 90 was erected in 1848 and was one of the first cast-iron lighthouses in the South. It is the city’s signature landmark and is a symbol resolve and resilience. 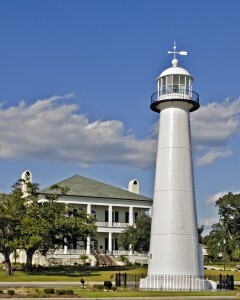 The light was civilian operated from 1848 to 1939, and is notable for its several female lightkeepers, including Maria Younghans, who tended the light for 53 years. In 1939, the U.S. Coast Guard assumed responsibility for the light’s operation. The lighthouse has withstood many storms over the years. 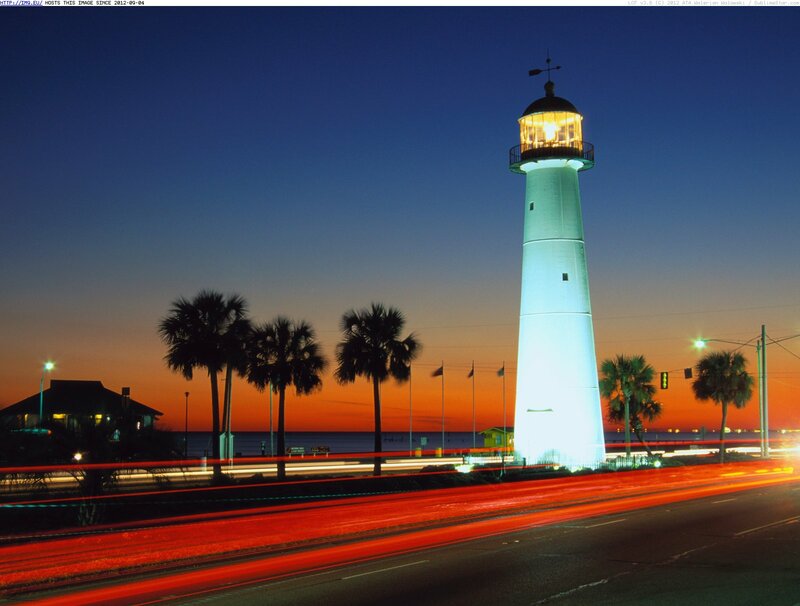 Katrina’s storm surge enveloped a third of the 64-foot tall lighthouse, and the constant pounding from the water and winds toppled many bricks that lined the interior of the cast iron tower. 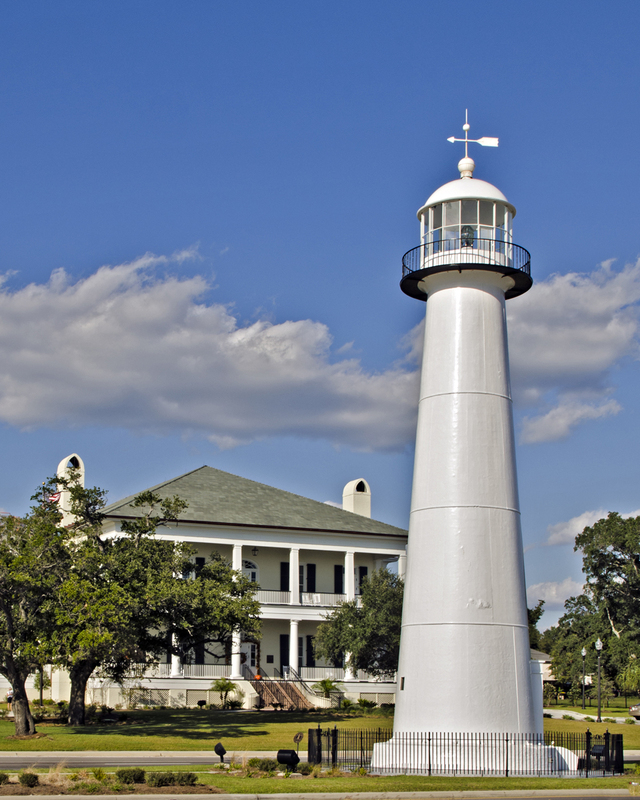 After Hurricane Katrina the lighthouse received a $400,000 restoration. Guided tours are offered daily, weather permitting.